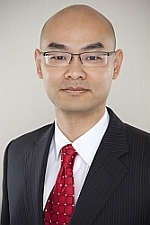 Home » Posts by Henry T. Chou, Esq. 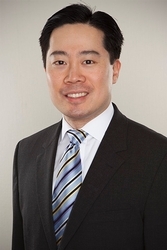 Princeton, NJ September 15, 2014 — On Wednesday, September 10, 2014, Henry Chou, a partner in Hill Wallack LLP’s Princeton office, spoke at the International Business Opportunities Conference (IBOC). The conference, which was held at Forsgate Country Club in Monroe, New Jersey, was organized by the MIDJersey Center for Economic Development (MIDCED), a non-profit organization dedicated to fostering and accelerating growth in central New Jersey. The IBOC focused on gathering international trade experts, business leaders and state officials to explore the fundamentals of exporting regional business products and services to strategic global markets. Mr. Chou spoke on the panel “Hottest Export Markets for New Business” where he discussed his experience representing U.S. companies investing in China. He gave an overview of U.S. foreign direct investment in China, the advantages of investing in China and the government approval process. Mr. Chou also discussed concrete examples of how local businesses based in Mercer and Middlesex Counties have successfully ventured across the Pacific. The panel was moderated by Eddy S. Mayen, a State Department official who oversees the state’s international business strategy. Additional panel members included The Honorable Christian Rodriguez (Consul General, Colombia), The Honorable Ghafur Dharmaputra (Consul General, Indonesia), The Honorable George Monyemangene (Consul General, South Africa), Vered Nohi-Becker (Executive Director, Philadelphia-Israeli Chamber of Commerce), and William R. Healey (Senior Vice President, Altman Group). The keynote speakers of the conference were Richard H. Bagger, a senior executive at Celgene, and New Jersey State Senate President, Stephen Sweeney. IBOC also featured two other panels, “Exporting: A Plan of Action,” moderated by BioNJ CEO Debbie Hart, and “Exporting: Success Stories,” moderated by Minister-Counselor Richard Steffens, who serves in the U.S. Embassy in Ottawa, Canada. By Henry T. Chou, Esq. The U.S. International Trade Commission (“ITC”) has decided that there is “a reasonable indication” that carbon and alloy steel wire imported from China could materially injure a U.S. industry, clearing the way for the U.S. Department of Commerce to continue its investigation into the imports. Steel producers in the U.S. have long complained about imports of cheap Chinese wire rod, which is used for nails, fencing, barbed wire and rope. Imports of these products from China rose from 144 tons in 2011 to over 614,000 tons in 2013, valued at $313 million. Earlier this year, a coalition of major U.S. steel producers, including ArcelorMittal USA, Nucor Corporation, Charter Steel, Evraz Rocky Mountain Steel and Gerdau Ameristeel filed a petition, alleging that Chinese steel wire rod is sold between 99.32 and 110.25 percent below their fair market value in the U.S. and that their manufacturers receive inappropriate levels of subsidies from the Chinese government. The Commerce Department’s investigation will culminate in a determination concerning the level of improper Chinese subsidies by June 30, 2014 and a determination on the level of anti-dumping duties to be imposed on such imports by July 10, 2014. This case is deemed to be a “game changer” for the domestic market, and the looming threat of anti-dumping subsidies has already caused Chinese producers to retract offers made to U.S. importers in February and March 2014 over fears that retroactive duties could be applied to imports. In response, Beijing has urged Washington to avoid protectionism and to work with China to maintain a free and open trade environment. Anti-dumping investigations of Chinese imports have been on the rise in recent years and are spreading to industries and sectors that previously escaped notice. Importers of products manufactured in China should be vigilant of decisions that may drastically alter the duties and penalties associated with their imports. Staying informed of such matters will help importers to plan ahead and avoid costly import duties.